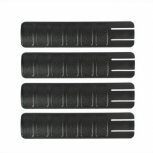 The Econo Rail Covers 4 Pack Black are the perfect rail covers to keep your picatinny rails protected. Not only will your picatinny rails be safe and protected from the rigors of aggressive play, but your hands will also thank you. 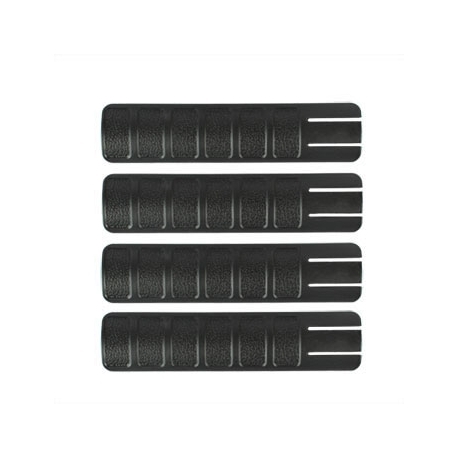 With a perfect curve for your hands to hold onto, the Econo Rail Covers 4 Pack Black are molded for added grip. With six added grip pads on each rail, you can easily hold onto your gun as you are running and gunning. 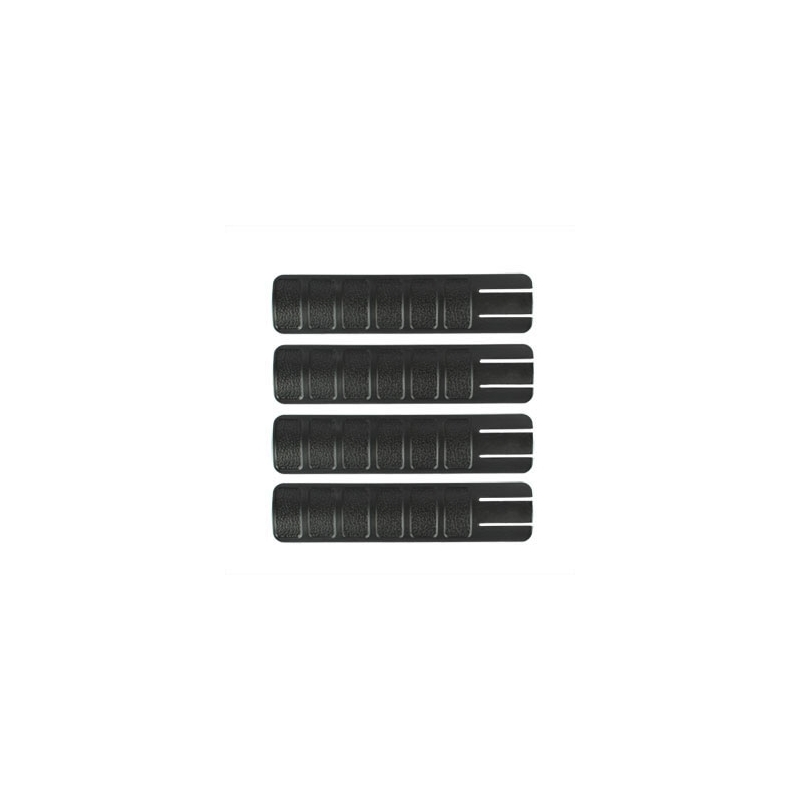 Using a quick lock system, you can easily install the Econo Rail Covers 4 Pack Black on your gun in seconds.